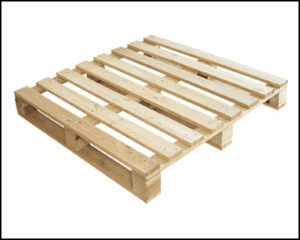 Look for the heat treated wooden pallet supplier to get the best quality pallets at reasonable rates. Pallets are useful in many cases; they are an essential item. May businesses need them to meet standards and be successful in their businesses. The rental and purchase of pallets are often an overlooked or under-appreciated detail. The best pallets are heat treated pallets. Ensure that the heat treated pallet supplier you go for does the heating properly. Such pallets come with the initials HT, but you should get other proof that this has been done. Do not go for a pallet that is not treated. The best pallets are heat treated pallets. The heat treated wooden pallet supplier you go for should be registered by the relevant industry and government regulatory bodies. This is the only way to ensure that you get a reliable and credible heat treated pallets supplier. The process used to heat treat the wood should preserve it properly. The techniques being used to heat treat wood are pretty standard. This could prove valuable for any organization and also cost effective for its packaging solutions. Only go for heat treated wooden pallet supplier who can give you more than pallets wooden. The supplier should offer you advice on such issues as the best pallets for your particular needs. The supplier should also provide other services such as picket fencing, the manufacture of wood packaging products like timber packing and plywood cases, pallet collection, remanufacturing, and recycling. Go with the expert heated wood suppliers who can get you exactly what you need. The Pallet Supplier selected should offer variety regarding the dimensions of the pallets. This will ensure that you get the pallets that suit your particular needs. There should also be variety regarding the type of wood used, regarding re-manufactured wood, and concerning recycled wood. Not all heated wood suppliers can turn out a quality product that is delivered safely and on time all the time. Therefore, select the supplier that offers high-quality pallets. Delayed supply of your pallets will lead to delayed warehousing or shipping, and this will cost you money. The heat treated wooden pallet supplier is fast enough. They offer customer service via phone and email and have staff members who are experienced and who are well trained. These pallets come in a wide variety of materials, sizes, and configurations to suit different tastes, preferences, requirements, functions, and even budgets. Just as with other types of businesses, it’s important to choose quality Wooden Pallet Bangalore so that you know you’re getting quality materials and that they will arrive at their destination. If your business requires the constant use of pallets for shipping, storage, organization and a variety of other applications, you know it’s important to keep on top of your supply. Most businesses don’t make their pallets: they use an independent service to meet their needs. Try out this link to know more about Pinewood pallet supplier in Bangalore. Related Articles: Pallet Manufacturer In Bangalore, Export Pallet Supplier Bangalore, Wooden Crate Manufacturer Bangalore.